Often we think of sugar-free drinks as the health conscious choice, but researchers reveal that they are no more healthy than sugary versions. Artificially-sweetened beverages (ASBs) contain no sugar and are thought to be a healthier option than soft drinks. They have been encouraged as alternatives to full-sugar drinks for individuals who want to cut down their sugar intake or lose weight. On the contrary, there is no proper evidence to show that diet drinks are better for health or can prevent obesity and type 2 diabetes. “A common perception, which may be influenced by industry marketing, is that because ‘diet’ drinks have no sugar, they must be healthier and aid weight loss when used as a substitute for full sugar versions. Half of all sugar intake in the USA and one third of UK teenagers’ sugar intake is from sugar-sweetened beverages (SSBs) including sports drinks, soft drinks and fruit-flavoured drinks. SSBs are poor in nutrients but high in calories and also play a key role in increasing type 2 diabetes and obesity levels. 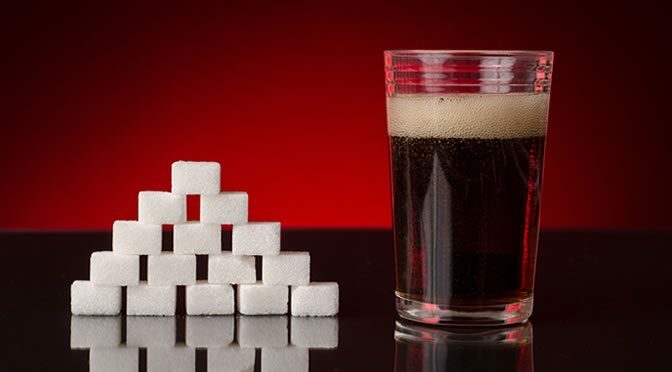 ASBs on the other hand, contain a quarter of the sweetened beverages global markets but they are not taxed or regulated just as much as SSBs, possibly because they are though to be harmless and low in calories. But there is a real concern that ASBs might make you eat more by stimulating sweet taste receptors, resulting in type 2 diabetes and obesity. While there is not enough evidence that ASBs cause weight gain, there is also no evidence that ASBs can prevent weight gain or cause weight loss compared to full sugar drinks. Moreover, carbonated soft drink productions have their negative impact on the environment. For example, to produce a 0.5 L plastic bottle of carbonated soft drink takes up to 300 litres of water. This is because of the water used to produce the sugar cane required. The study was published in PLOS Medicine (Borges et al., 2017).